Get spoiled with our extensive array of skincare treatments. Wafa Brows rejuvenating facials deliver radiant and healthy skin through cleansing, toning, exfoliation, steaming, massaging, masking, contouring, moisturizing, and extractions the use of state-of-the-art facial equipment. This facial focuses on deeply cleaning the pores of the skin to remove the white and blackheads. Wafa’s organic mask will prevent redness and will leave the skin feeling clean and smooth. This treatment is for those who have blackheads and extractions on their backs. It cleans all the pores from bacteria and debris, followed by deep exfoliating and special treatments to stop bacteria growth. A chemical peel uses natural fruit acids to smooth the surface of your skin by removing the damaged surface layers. Although chemical peels are used mostly on the face, they can also be used to improve the skin on your neck and hands. A chemical peel is one of the latest scientific treatments to improve the appearance of your skin. 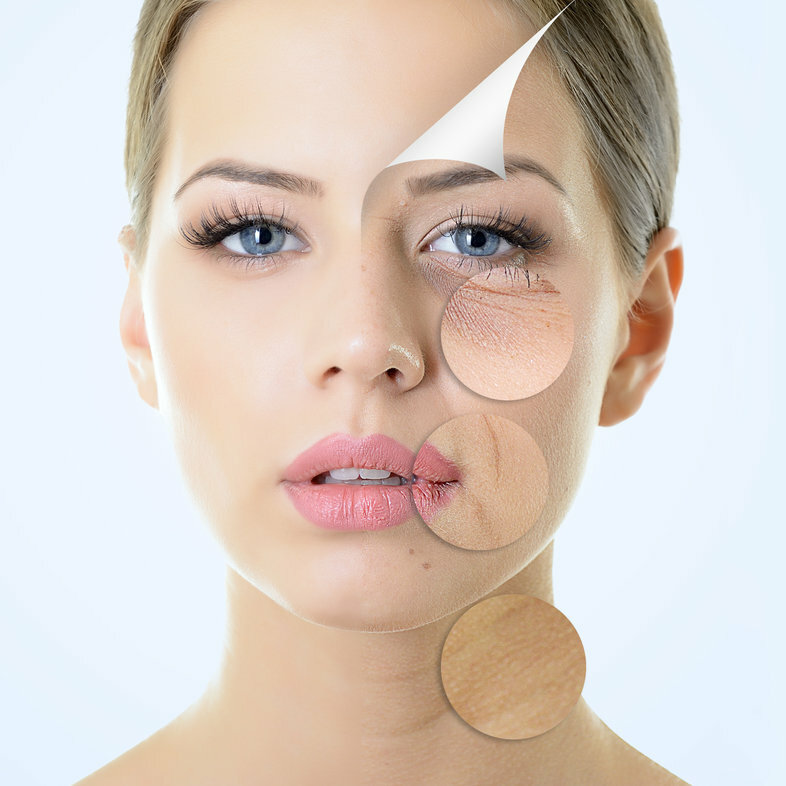 Acne, sun exposure, or just getting older can leave your skin tone uneven, wrinkled, spotted or scarred. This facial deeply extracts and decongests pores. It’s designed to balance oil production as well as calm inflamed skin and prevent future breakouts. Ideal for those with oily skin and acne-prone skin. A peel tissue cleaning followed by a natural chemical peels coming from natural fruit which kills the bacteria that causes the acne and clears the skin from old spots and discoloration. This unique treatment starts with deep tissue cleansing, exfoliating, followed by a natural fruit acid treatment that tightens the skin and fills the pits with collagen to achieve smooth, glowing skin. Micro current is the most effective non-surgical method to take years off your face. It tightens loose skin and strengthens atrophic muscles, and after a series of treatments the results mimic a non-surgical face lift.